CB JENI Homes is making progress on The Chateau Townhomes located in The Settlement at Craig Ranch. Located in the heart of Craig Ranch, the townhomes will be priced from $195k to $230k. The three new floor plans are Camille, Julia, and Natalie. The first building (shown above) is well under way and the second building is being formed. The first building contains three single-level townhomes. Only one is still available and we expect the building to sell-out prior to completion. 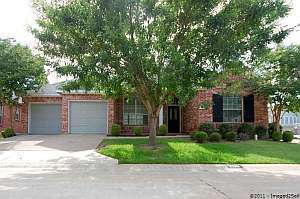 See all McKinney Texas Townhomes for sale. In Part One of the series, I presented an overview of mortgage fraud outlining Fraud for Housing and Fraud for Profit Schemes. The Federal Bureau of Investigation (FBI) has identified eight different schemes that are commonly seen in the US real estate market. Part Two will cover the first four schemes. Property Flipping – In this scheme a property is purchased at deflated prices through false documentation, deflated Broker Price Opinions, and deflated appraisals. The property then has minor cosmetic work complete and is sold at a much higher price. This scheme usually involves several individuals. Kickbacks to the individuals involved in the scheme are common. An older variant involved the appraiser on the buyer’s side with over-inflated appraisals. These are less common since the implementation of HVCC. Silent Second – In this scheme the buyers do not have enough funds to close the transaction. The seller agrees to carry a second, undisclosed loan for the down payment amount. Some sellers go so far as to deposit the funds in the buyers bank so it looks like seasoned funds to the lender. According to the FBI, this type of fraud is more prevalent with builders than a traditional resale seller. Nominee Loans / Straw Buyers – A straw buyer is a person who purchases a home on behalf of another buyer. They have no intention of living in the house and are simply “lending” their good credit and financial status. In return, the straw buyer is compensated for taking part in the scheme. This usually takes place with higher payments to the straw buyer over the amount due on the note. Fictitious / Stolen Identities – The buyer uses a false or stolen identity to qualify for the mortgage. The buyer poses as the borrower and uses their credit and documentation to qualify for the mortgage. In Part 3, I’ll cover the final four schemes. McKinney TX Home For Sale – Enjoy all the Stonebridge Ranch amenities! Well-kept single-level Grand home on a corner lot. Open floorplan. Covered front porch opens to tiled entryway and stacked formals. Island kitchen overlooks the family room with wood-burning fireplace. Generous master suite is split away from the other bedroom. Master bath with separate shower, dual sinks, garden tub, and large walk-in closet. Fenced backyard and patio. Zone to McKinney-Boyd High School. See all McKinney TX Homes for Sale. As an NMLS licensed Mortgage Loan Originator, I did my eight hours of annual continuing education today. While much of it was specific to the lending community, I found the section on mortgage fraud trends to be very interesting and applicable to a broader audience of real estate professionals. 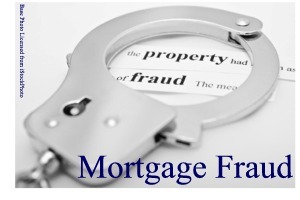 This blog will be the first in a three-part series on Mortgage Fraud Trends. There are two kinds of fraud categories: Fraud for Housing and Fraud for Profit. Fraud for Housing takes place when a buyer commits fraud so they can purchase a home for their personal use. The fraud is committed though forged/altered documents or otherwise leading the lender to believe they have the income or assets needed to purchase the home. Some buyers are helping out family members and purchase the home as their residence but intend for a family member to reside and make the mortgage payments. Fraud for Profit schemes usually involve multiple individuals such as appraisers, lenders, real estate agents, and closers. The intent of these fraud rings is to make a profit through inflated appraisals or fraudulent documents/identities. The Federal Bureau of Investigation (FBI) typically does not investigate Fraud for Housing but has stepped up enforcement of Fraud for Profit rings. In the next part in the series, I’ll cover the first four Fraud for Profit Schemes. All the discussion in the national media about how bad the housing market is doing doesn’t take into account that all real estate is local in nature. I was reviewing our local sales statistics the other day in preparation for a radio interview I was doing. Te Dallas Fort Worth market is doing very well. Our MLS covers all of north Texas, so I looked at the numbers for the entire region and then for Collin County. The first statistic I looked at was average sales price. The average sales price for the region is up 3.5 percent (May 2010 – May 2011) and Collin county is up 5.4 percent. These are really good numbers when you consider that 2010 spring sales were inflated by the federal first-time home buyers and move-up buyers tax credits. Those credits spurred early spring sales and drove down inventory in the early part of the year. Next I looked at new listings. This figure tells us how much inventory is being added to the market. New listings are down 17 percent in both the regional and Collin County Markets. Less inventory is a good thing as long as the market continues to absorb what is available. Sales closed gives us an indicator of the absorption rate of existing inventory. Regionally and locally sales are down 14 percent. With 17 percent fewer listings and only 14 percent fewer sales, we can determine that the overall inventory is shrinking. That’s the primary factor in seeing value stability in the area. In other good housing news, foreclosure rates continue to fall. Foreclosures have a serious impact on values as they usually sell at a discount over the traditional homes. All indicators for the Dallas Fort Worth housing market point to a stable market despite what the national media reports. Have a question about your area? Contact a local real estate professional as all real estate is truly local. 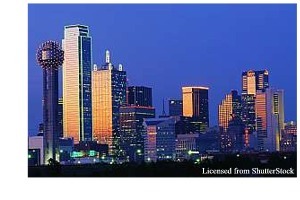 Search for Real Estate in Dallas Fort Worth.